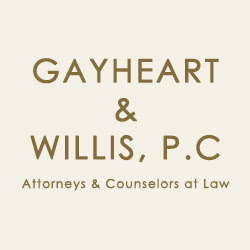 Description: The law firm of Gayheart & Willis, P.C. stands up for your rights when you or a family member is injured in a motor vehicle accident. We are committed to holding the negligent party responsible for full compensation for your injuries and losses.